Books, DVDs, CDs? 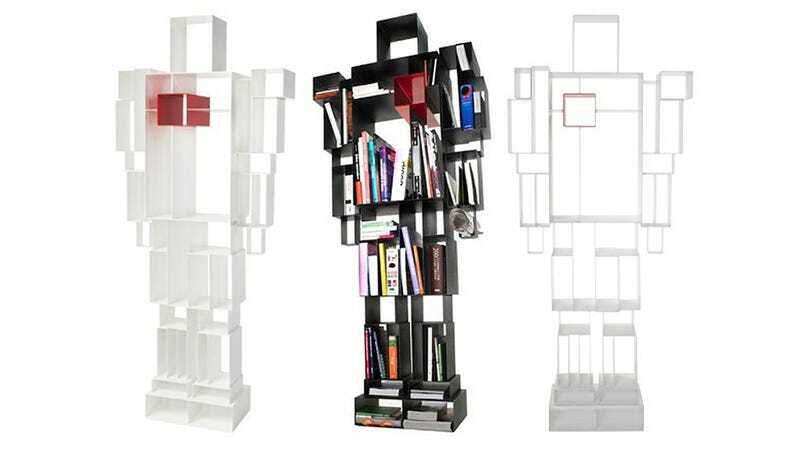 This Robox shelving unit, designed by Fabio Novembre for Casamania, is happy to gobble up all of your outdated forms of media. But that doesn't mean it only has an appetite for information and entertainment. Not at all. It's equally adept at storing your classic Transformers—or to a lesser extent Go-Bots—collection.